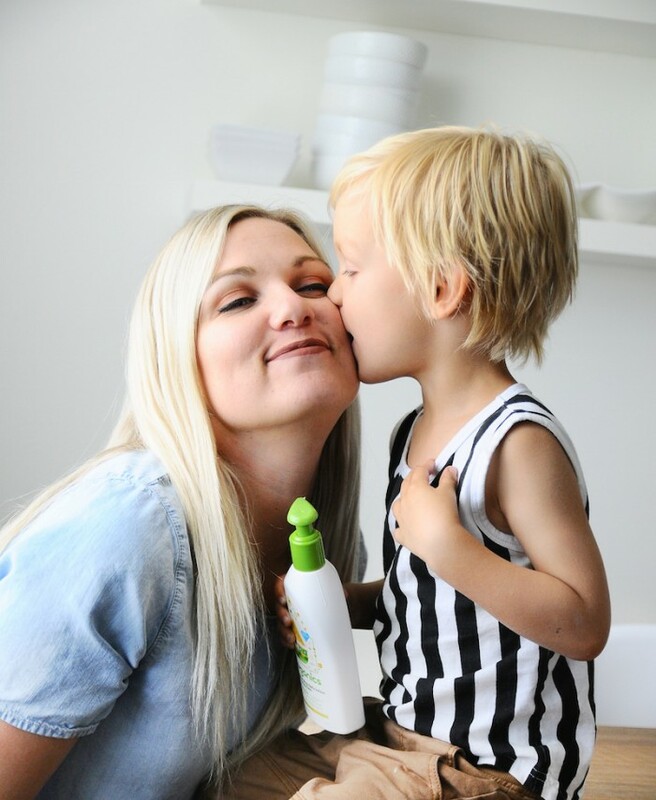 You all know of our love for Babyganics – check out how we use their products for everyday cleaning, when our kids are sick, and today we’re sharing a little bit about a new product they launched, their Daily Lotion + SPF! Once you’re done reading don’t forget to enter to win $100 gift card to Target where one lucky winner can shop all of the Made to Matter brands, and this Daily Lotion + SPF that is exclusive to Target! One thing we tend to forget when Summer is over, is that our kids are still being exposed to sunshine. Novel thought, right? But, really sending them and ourselves outdoors can still cause a burn, especially as our pretty base tans start to fade. 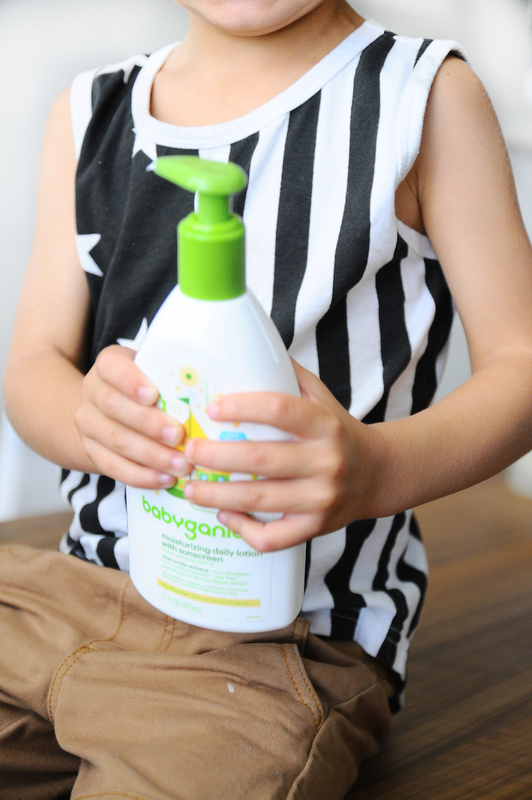 We love that Babyganics new lotion has SPF in it, but doesn’t smell like sunscreen at all so our kids don’t even flinch when we lather them up. If they put up a fight let them lather you up, too! We have a couple super sensitive skinned boys over here, Callum being one of them. His skin has a slight rash in certain places and lotions actually burn him sometimes. This is so gentle he doesn’t mind at all, and having the SPF 15 built in not having to lather him up twice is amazing! Babyganics is plant-based, non-allergenic, and being at Target makes the switch so easy! Their product line is growing by the day it seems, check out all their offerings at Babyganics.com — (Cal’s tank is from Little Edge Threads) If you needed any other reason to try it out, Babyganics has teamed up with Cookies for Kids’ Cancer to help raise awareness and money for research in the fight against pediatric cancer. 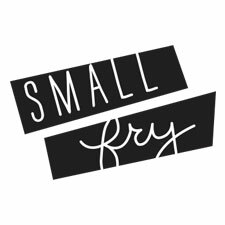 Portions of proceeds will go toward this important cause! Ready to enter to win the $100 Target Gift card? This card will not only help you stock up on Babyganics but other favorite Made to Matter brands like Happy Family, Boom Chicka Pop, Zarbees, Hylands, Justins and Kind Snacks. ENTER!